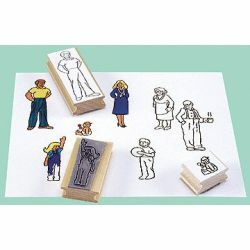 This set of 7 giant stamps can be used in many ways. Children can create their own scenes - creative story telling and coloring - just to mention a few uses. Stamps range in size up to 3" x 4".